I attended an event a few months ago and the goody bag contained the usual suspects like ink pens, energy drinks, press releases and the like... 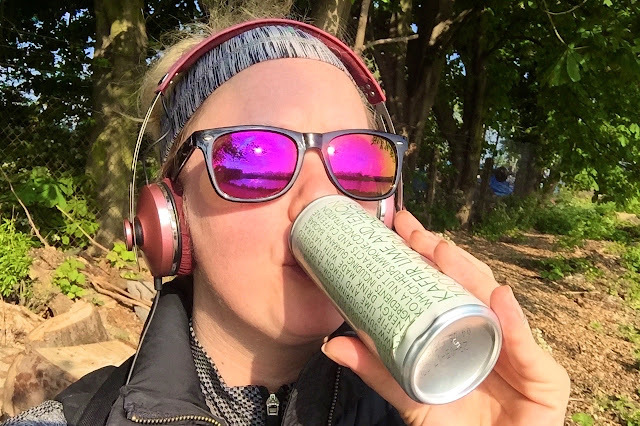 I wasn't really paying much attention when I grabbed one of the energy drinks the next morning for a bit of a boost (it was a late night after all), but what I stumbled upon was a marvellous thing! 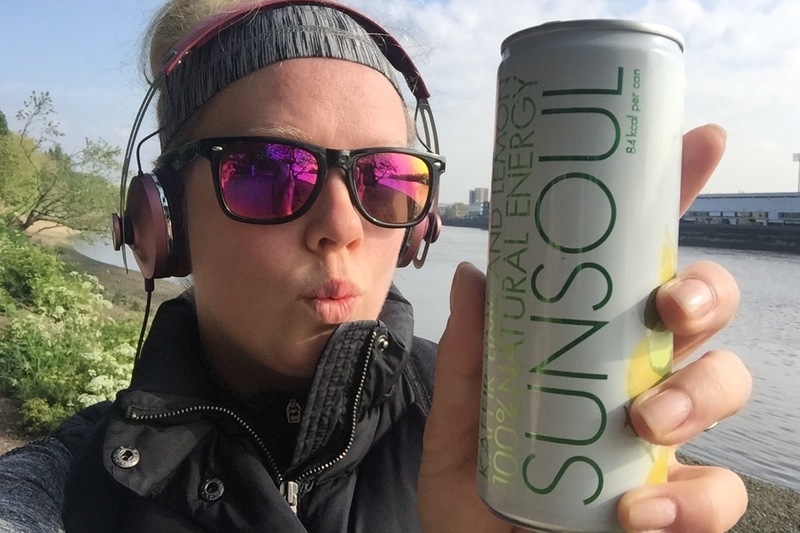 The Raspberry and Elderflower Sunsoul Energy Drink became one of my favorite things. It gave me energy, laser focus, it tastes great and it's all natural. Rather than giving me a hyper feeling followed by a miserable crash like so many of these drinks do, I got so much work done, felt amazing and I didn't crash at all. What's not to love about that? Because I'd taken my husband to the bash, we had 3 or 4 cans of this magic juice in our fridge, but I knew that wouldn't be enough and I was right... I went through them within the week. I immediately set out to Whole Foods, Waitrose and any other shop I could find to get my hands on more of these lovely drinks and my efforts ended in disappointment. I couldn't remember the name of the drink exactly, which made online search efforts nearly useless. Luckily I've finally nailed down this wonderful 100% natural energy drink and it's available online! Trying it again, this time during a long walk for exercise, it was just as I'd remembered. This time I opted for the Kaffir Lime and Lemon flavor which is delicious. If you're a fan of 7-Up or Sprite, this would be a great alternative for those of you trying to give up soda. I got enough energy to plough through a 5 mile morning walk with great speed, run my errands and get through a full day of work afterwards. Magic, I tell ya! 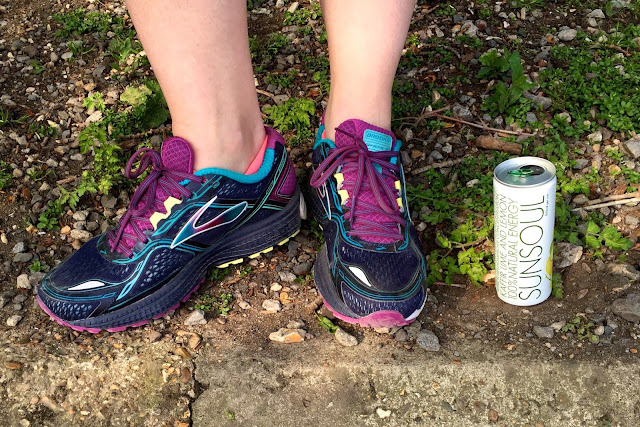 Carbonated, fruity, flavorful and delightfully refreshing, these little cans contain a delicious treat and there's no guilt necessary. 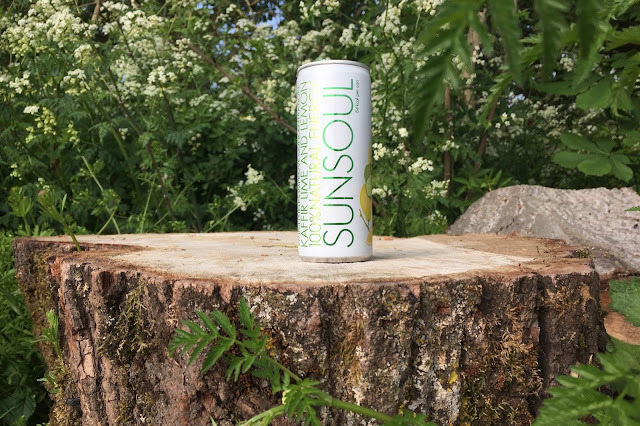 Sunsoul drinks are 100% natural, each can is just 84 calories and the drinks contain no refined sugar, unnatural sweeteners or Taurine. With ingredients found only in nature including natural fruit juices and spring water, Sunsoul uses guarana, baobab and kola nut to prolong energy delivery. While these drinks are not 100% sugar-free, the sugar comes from fruit - I don't know about you, but that makes me feel a bit better about drinking it compared to the alternatives with chemical sweeteners or hefty amounts of refined sugar. 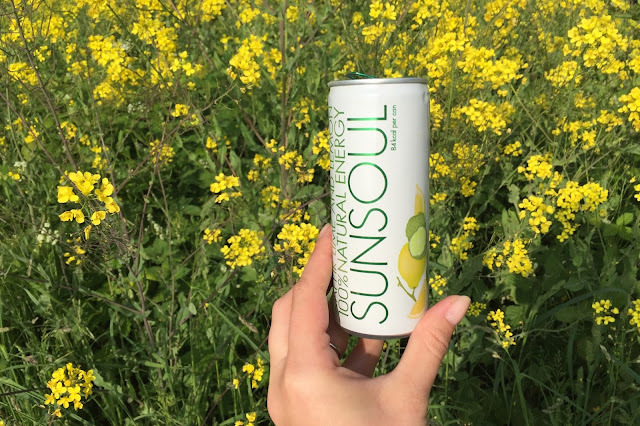 Sunsoul Energy Drinks are available in three flavors including Kaffir Lime and Lemon, Spiced Mango and Pineapple and Raspberry and Elderflower. The drinks can be purchased online in cases of 24 for £26.40 per case. For more information or to buy, visit www.sunsouldrinks.com. Sounds delish! Love a good, refreshing drink to perk myself up.